Interview on German Website, ErfolgreichesSprachenlernen.com- In Spanish! Christine Konstantinidis is a linguist who has been working in the language field for decades. She has written a book on language learning in German called Sprachen lernen – Tolle Tipps und Tricks: Kreative Methoden für Motivation und maximalen Erfolg which in English means Learning languages – Great tips and tricks: Creative methods for motivation and maximum success. If you can read in German, you may want to grab yourself a copy for some good information. It can be found here on Amazon. The interview in the link above is on Christine’s website, which is in German. The interview itself is in Spanish. She has also translated the entire interview into German for her German speaking fans. Translation is not always an easy feat, but Christine does an excellent job. If you interested in checking out the German version of the interview, you can find it here. Categories: Interviews, Spanish, Tips, tricks and techniques | Tags: Interviews, language, language learning, Spanish | Permalink. 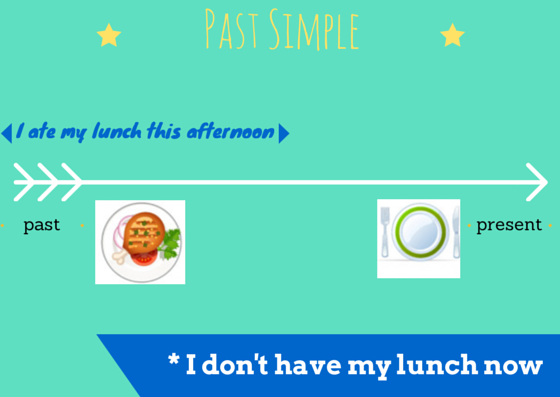 This is a great explanation and comparison of the past simple and present perfect tenses. In this article we are going to speak about some grammar tenses in English – Past Simple and Present Perfect. 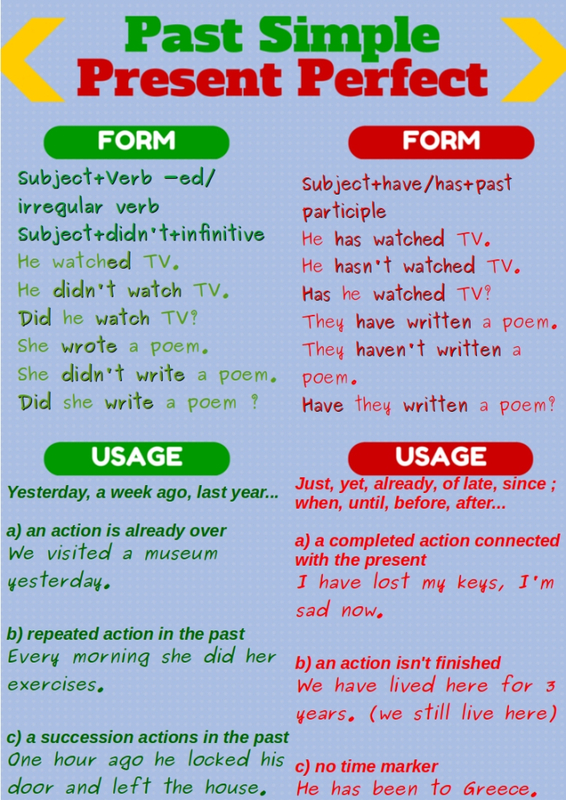 Here I have a table for you, so you can see how and when we can use these two grammar tenses. auxiliary verb – did. We use it to create the negative form and question. auxiliary verb – have/has. After we use the past participle of a verb. I have done all my exercises. He hasn’t been to New York. Categories: Aprender Inglés, English Learning, Tips, tricks and techniques | Permalink.